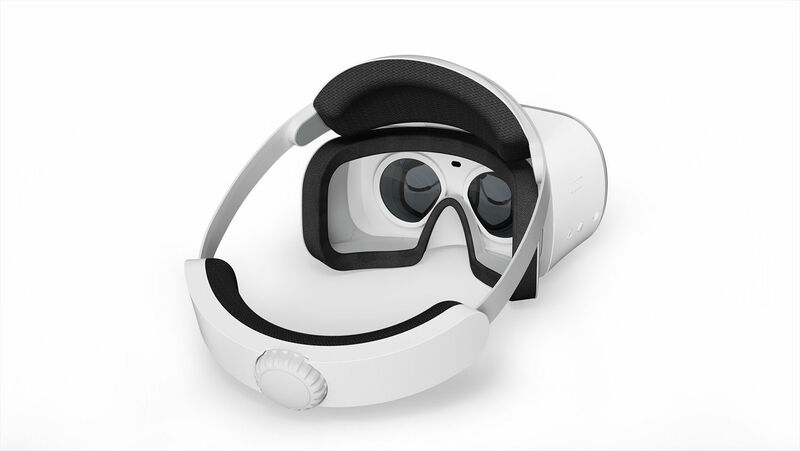 Lenovo’s new Mirage Solo with Google Daydream separates 'good' VR from a glorified View-Master experience because of one thing: the ability to move. No, not turn your head as though locked in a brace, but actually kneel on the floor and feel as though you just put your head underwater to get a better look at a kelp bed below (in BBC Studio's new sealife VR experience, which was designed especially for the Mirage Solo. 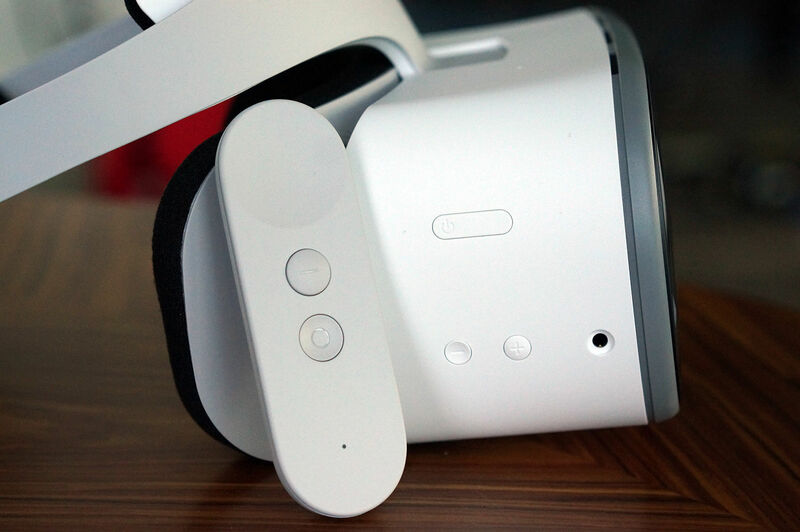 As the first stand-alone VR headset to let you do just that, without needing a gaming PC, console, or separate doohickeys and emitters, the Mirage Solo with Google Daydream almost aces it, despite a few key letdowns. But first let’s bask in its wireless six degrees of freedom. The secret sauce of the Mirage Solo, and what likely raises its cost over the competition, is its six degrees of freedom (variously abbreviated 6dof, 6DoF, or 6DOF; we’ve chosen the latter). In VR, tracking accuracy is critical to maintain the illusion. In most phone-based VR, as well as Facebook’s new Oculus Go, you get 3 degrees of freedom, which means you experience VR as though your head were locked in a brace. You can look left and right, up and down, and tilt your head. But if you duck under a tree branch in a game or video, nothing happens, because your body’s movement isn’t tracked. To achieve 6DOF, the Mirage Solo uses two front-mounted cameras and data from multiple on-board motion and acceleration sensors. Duck out of the way of the a snowball or tree branch, and the image you see in the headset reacts to your movement. Google engineers (who helped develop the system in the Mirage Solo) told us the system is accurate down to the millimetre. Although we were skeptical, we have to say it appears to be true. We tried our hardest to make the Mirage Solo lose tracking, and it didn’t. Cover the lenses up for a few seconds, use it in a pitch-black room or outdoors in the bright sunshine, and the Mirage Solo wouldn’t get lost. And unlike Microsoft’s HoloLens system, which takes a few seconds to scan a room before being used, the Mirage Solo system seemed to track almost instantly. We could put the system to sleep and then wake it up in a completely different setting, and it wouldn’t miss a beat. With the ability to track your movement, you get about an arms’ length of space around you to maneuver for your VR adventures. While HTC and Steam have “room scale” (15 x 15-foot space) thanks to pair of emitter towers that aid tracking, the Mirage Solo is far more limited to about 5 feet in diameter. Rather than room scale, it’s more like closet scale. 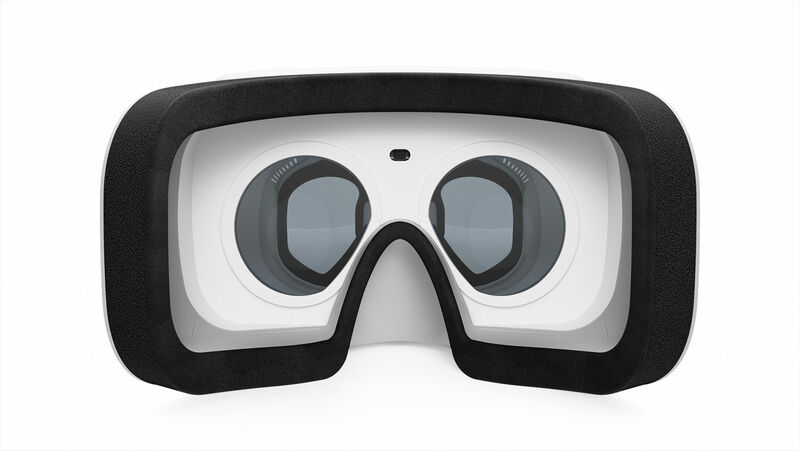 Move beyond the 5-feet zone and the VR image begins to vanish, so you know to return inside your safety zone. As a stand-alone system (no phone needed), the Mirage Solo is powered by a Qualcomm Snapdragon 835 SoC with integrated Adreno 540 graphics. There’s also 4GB of LPDDR4 RAM and 64GB of UFS storage. For those who must have more storage, there’s also a Micro-SD slot rated for up to 256GB (above). Lenovo claims about 2.5 hours of run time for the 4,000mAh battery on a full charge (it charges with USB-C). Our experience largely mirrored that. Almost as important to some is the strap system. Think of the Mirage Solo’s design as a hybrid of a Microsoft HoloLens and Sony PSVR. Lenovo uses a hard plastic band with a ratchet system for the rear pad that clamps onto your head. Some VR systems try to offset the front-weight by adding a top strap. Lenovo instead uses a large forehead pad to keep the system in place. The other available adjustment lets you move the display forward or back by about an inch. For our large adult head it worked just fine, but it swam on a small child’s head. One caveat about the stiff band: It’s cumbersome if you really want to travel with it. With an Oculus Go, you just bunch bunch up the fabric strap and drop it in your backpack. The Mirage Go’s stiff band makes for one big bundle to carry around. 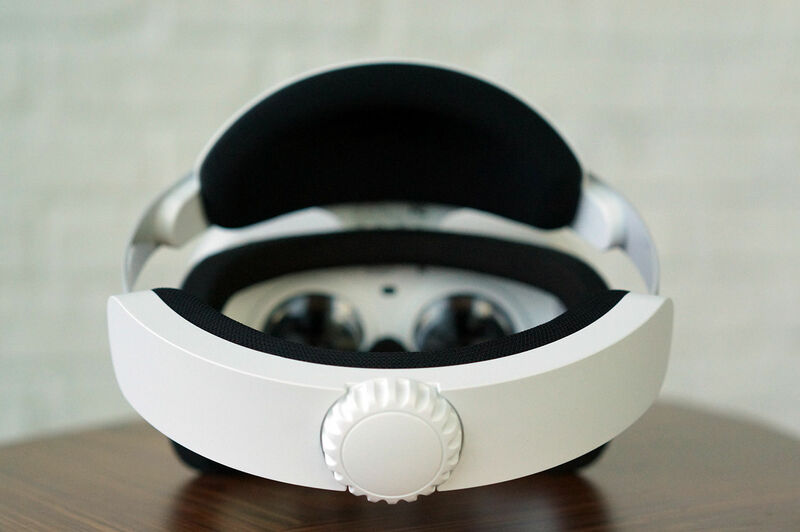 The Mirage Solo headset features a 5.5-inch IPS 2560x1440 panel. Per eye, that works out to 1280x1440 – a higher pixel density than the Oculus Rift and HTC Vive. To create the displayed image, Lenovo uses a pair of fresnel aspheric lenses to give you a decent 110-degree field of view. That’s on a par with both HTC Vives and the Oculus Rift, and on paper, better than the 100 degrees of the Oculus Go. It all pays off: We found graphics and text fairly crisp – especially compared to a first generation HTC Vive. You have to set up the Mirage Pro for Wi-Fi just like any other standalone unit. That means using the laser-pointer-like Google Daydream controller to hunt and peck your Wi-Fi code into the unit. The controller features trackpad button, plus two push buttons and a volume rocker. It works reasonably well but sadly, it’s only a 3DOF controller. That means it works perfectly fine as a glorified laser pointer in games and for input, but it’s akin to playing a game with your arm handcuffed to your body. You won’t, for example, use it to fire guns akimbo, like Denzel Washington's character from Training Day, any time soon. Google officials said other Bluetooth game controllers will work, but let’s be honest here: They aren’t as good as the Oculus Touch or Vive Controllers. On the other hand, those systems also need external tracking equipment. Systems using the controllers from Microsoft’s Mixed Reality can perform controller tracking without external hardware, but their spotty tracking accuracy and reliability has been one of the big turn-offs for Mixed Reality. For now, it seems it is what it is. Another big minus of the Mirage Solo is the lack of on-board speakers. Instead, Google includes an analog 3.5mm jack for audio. That’s kind of a bummer because sometimes you don’t want to jam anything in your ear. Phone-based VR systems, of course, include speakers in the phones. Google makes up for this mostly by including the ability to stream what’s on the screen (including the audio) to any television with a Chromecast. It’s really a nifty feature for those not wearing the headset. We had no major issues on our 802.11n network. Even when there were occasional dropouts, it was only the stream. The video in the headset never dropped out. 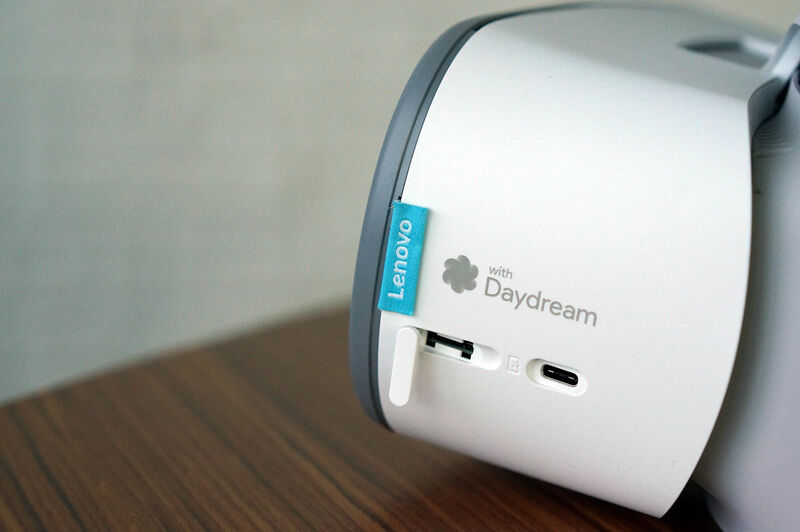 Daydream OS is built on Android 8.0 and is a clean, VR-friendly interface. You’ve seen it before on the phone-based Daydream View. In the Mirage Solo, it worked fairly well, but we did have issues finding and installing apps that weren’t surfaced in the VR Google PlayStore. Installing a third-party VR app required doing so from the app store on a computer. Even though it installed, no app icon was created, forcing us to launch media files from a file explorer in the system view. To be fair, speed bumps like these litter the VR roadway on all platforms. Does the Lenovo Mirage Solo game? To see how well the Lenovo Mirage Solo plays games, we tried a few pre-installed products that support the positional tracking. The first was a snowball fight game, where you whip snowballs at neighbours and holiday-themed objects. The Mirage Solo effortlessly tracked our moving and ducking. We also played a snowboarding game where you lean and duck for control. As expected, we had no issues with loss of tracking. The last game we played was Blade Runner Revelations, a narrative role-player. While it recognises your body position, it’s not critical to the game (at least not the sections we played through). That makes sense, as it was developed for the 6DOF Mirage Solo and the 3DOF Daydream View headset, too. Blade Runner as a game is set in the original movie's imagination of 2019. It’s fairly immersive, and it was hard not to imagine ourselves as Harrison Ford as we flew threw a dystopic future Los Angeles in an LAPD Spinner police car. But Blade Runner also served as a reminder of the main weakness of the Mirage Solo and other similar systems – graphics horse power. As well as it tracks, it’s still 'just' phone graphics, which can’t hold a candle to PC-based graphics. Blade Runner was clearly running at a lower resolution to improve its frame rates. Speaking of frame rates, Lenovo and Google say the Mirage Solo should be able to maintain framerate to hit its maximum refresh rate of 75Hz. We never felt wanting for more higher frame rates – but we did find ourselves wanting for higher resolution textures and more polygons at times. It feels, like, well, it feels like you’re playing games on a phone. Overall though, the experience holds up well and almost, just almost justifies paying more for tracking over traditional 3DOF systems. As a media viewer, the Mirage Solo is excellent. There’s a huge library of free 360 and sterescopic content on Youtube that springs to life in the Mirage Solo. With its high-pixel density and good field of view, you can almost justify having a dedicated VR viewer today. We’ll be the first to admit that the Mirage Solo impressed us way more than we expected. We typically look down at our noses at less-than-PC-level VR, but the Mirage Solo’s 6DOF tracking performance surprised us. Its ease of setup, wireless experience, and Chromecast capability make the standalone VR system to beat today. With the newly released Oculus Go at £199/$199 many will see them as competitors. 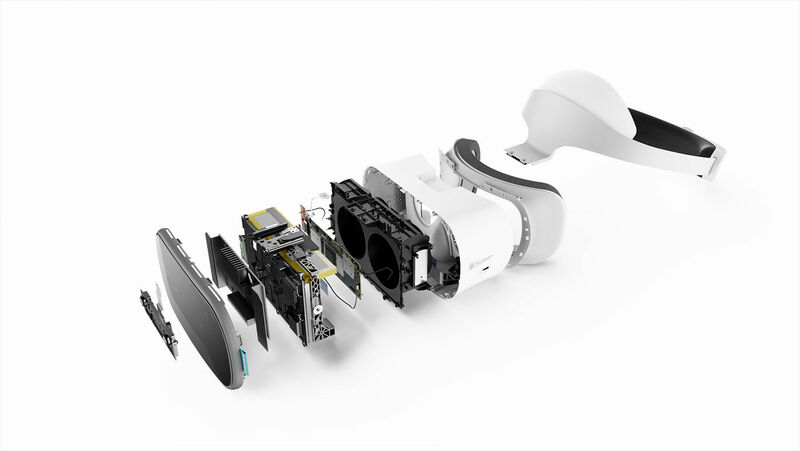 Our sister site Tech Advisor has published at Oculus Go review, which is a 3DOF system built on an older graphics chip and CPU. That means it probably comes down to what you’ll use it for. Our guess is that the Mirage Solo will outperform it for gaming, but both will be fairly even for media viewing. So if you’re looking at a gaming standalone VR system, the Mirage Solo has the edge with its 6DOF. For watching YouTube videos or looking at photos, it’s going to be pretty hard to beat $199 for the Oculus Go.